I haven't read VC but I especially love the books set in Scotland so that may be my next DES. Thanks for this excellent precis and review. 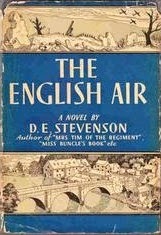 The English Air is one of my favourite Stevensons. And the cover art at Captive Reader's review is lovely. Thanks Susan. I enjoyed it very much & I'm glad I was able to get hold of it through Open Library. 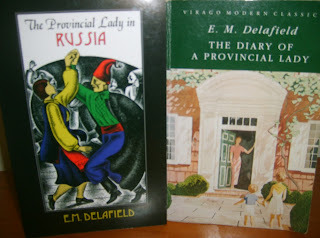 I'm so pleased that I found Open Library, and that so many other lovers of older books are finding it too - I think this is my favourite DES - though I have a good few more ahead of me. OL is a great resource, isn't it? The scanning can be a bit dodgy but I haven't found any of the books I've borrowed so far to be unreadable & I'm prepared to put up with a few glitches to read books I can't get hold of any other way. It would be hard for me to choose a favorite DES book, but I loved being reminded of this one, for sure. I have read all of her books that are available and truly enjoyed them! I think this is one of my favourites too although I still have quite a lot of her books to track down. Open Library has been great as there are several available there that aren't in print. Open Library has it but it is in a system where I dont seem to be able to get to! Like your review so much. I know there were a few people on the waiting list for TEA Mystica so maybe you can reserve it? I've been reading the OL books on my iPad through my Overdrive app. So glad you enjoyed this! It is definitely one of my favourite DES titles. Like you, I loved the relationship between Sophie and Franz. Yes, I thought Wynne was a pretty standard heroine but Sophie was much more interesting. DES review, woo! And of one I haven't read yet. I get the sense from other fans that this is one of her better-known books, which is interesting, since by its description it seems rather different from her other (non-political, female-centric) books. I'm glad to hear you loved it, though! My next DES will be The Young Clementina, as it's due back at the (not Open) library soon, but I'll probably read this one afterwards. It's definitely different because the story is told through Franz's eyes. I have TYC on the tbr shelves so I hope to get to it soon. It's so funny, Lyn. I've just discovered D.E. Stevenson. I know, I know, where have I been? Well, I have no excuse. I'm just late to the party as usual. 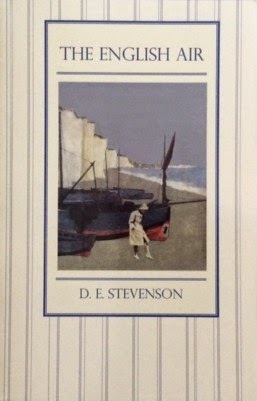 I read THE HOUSE ON THE CLIFF and fell madly in love with Stevenson's quiet style. I LOVED THAT BOOK! I'm currently reading MRS. TIM FINDS A JOB, out of sequence because my library doesn't have all of them. And I've got SUMMERHILLS, FLETCHER'S END, VITTORIA COTTAGE and one other coming. In between I've also decided to read some Miss Read books and also re-read some Dorothy Sayers, so obviously I'm in some sort of mood. By the way - Just finished MISS PETTIGREW LIVES FOR A DAY by Winifred Watson - Have you read that yet, Lyn? I disliked the movie intensely. But the book is wonderful. Sometimes an author comes along at the right time. I found that with Georgette Heyer. I was never attracted to her books as a teenager which seems to be when most women discover her. But, a few years ago, someone in my book group recommended A Civil Contract & I really enjoyed it. Since then, I've read about half a dozen, mostly with older heroines which I prefer & have about as many on the tbr shelves. I enjoyed the Mrs Tim books although I haven't read Mrs Tim Carries On, set during WWII which I really want to read, being a fan of WWII books. I listened to Summerhills on audio not long ago & loved it. It's the sequel to Amberwell, which I haven't read but it made no difference as there was enough back story to work out everyone's relationships. Do you know this website, http://www.destevenson.org/ It has lots of info on the series & which characters pop up in other books. I loved Miss Pettigrew. I agree with you about the film, even Ciaran Hinds couldn't save it but the book is wonderful. Basically the same thing happened to me with Georgette Heyer. Coincidentally my first Heyer book was also A CIVIL CONTRACT. Began reading her in earnest just a few years ago as well. Now I think I've read just about all of them except for a few stragglers. Even read the mysteries. I did read her mysteries when I was a teenager. I've always read more mystery than romance but I'd like to reread them as it's been so long I'll have forgotten whodunit.